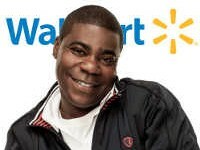 The famous 30 Rock comedian, Tracy Morgan, has filed a lawsuit against the famous retailer Walmart and its truck driver, after one of its trucks crashed into Morgan’s limo bus from the behind, resulting in vehicle pileup, severe injuries, and the death of fellow comedian, James McNair. The lawsuit has taken numerous turns since the mishap on the northbound New Jersey Turnpike took place. On July 10th, Morgan sued Walmart and the owner of the truck to which Walmart responded that it was his own fault as he was not wearing a seatbelt. Morgan was surprised to receive this response. The attorney, Steven Petrillo, whose firm specializes in cases related to injuries from commercial vehicles, says that he doesn’t think that Morgan filing a case against Walmart and their truck driver is surprising at all and that it is absolutely normal for him to expect compensation in return. Morgan argues that the company was neglectful in the possession and functioning of the tractor-trailer, which, according to him, was a major causative reason behind the crash that resulted in a pileup of six cars, severely injuring Morgan, killing his friend, and injuring two other passengers. As a result of this accident, Morgan also suffered from traumatic brain injuries. According to sources, the driver, Kevin Roper, was in a Peterbilt truck which crashed into Morgan’s Mercedes-Benz limo van in June. The driver has already been charged with two criminal complaints namely death by auto and assault by auto, filed in the Middlesex County two days after the fatal collision in the Cranbury Township. The driver, Roper, has however pleaded not guilty to the charges filed against him. Roper was also charged with the accusation of driving the tractor-trailer while being sleep deprived. Nevertheless, Walmart spokesperson said that the driver was working in the federal hours of service policy. The reports showed that the driver of the tractor-trailer, Roper, had been working for about 13.5 hours when the accident took place, which is within the federal law. Roper has also denied the accusations of sleep deprivation as a fraction of his defense in the case. According to the investigation carried out by the National Transportation Safety Board investigation conducted after the fatal crash found out that the driver of the vehicle was in fact speeding right before the deadly multi-vehicle crash.